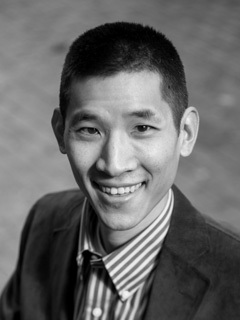 A few recent publications by 2nd generation Taiwanese American health professionals caught our attention this year so we’ve compiled a brief interview with each of the authors asking about their background and motivation behind their work. If you’re looking for some solid advice on diets, exercise, and proactive healthy lifestyles, check out these titles below! They are available for purchase online through Amazon.com. 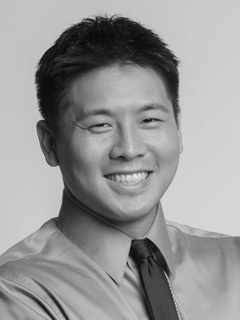 I’m a board certified internist who practices medicine in Northern Virginia. I completed my training at Northwestern and Emory Universities. I first developed an interest in the power of food when I began cooking for my children. Based on my culinary adventures, I developed a popular cooking blog and YouTube channel. I created The Ping Pong Diet to offer a dietary plan for weight management that is simple, effective, and sustainable. By harnessing the power of plants and protein, I teach people to take control of their hunger, weight, and health. I have been the longtime beneficiary of excessive kindness from various Taiwanese sources. My parents helped create a vibrant Taiwanese community in the DC area; the Taiwanese American friends I have made have acted like an extended family. That kindness, familiarity, and acceptance that is characteristic of the Taiwanese American community has always meant a lot to me. That is also the reason why I have happily spent time helping out with various Taiwanese American camps, clubs, and organizations. I proudly infuse my heritage into my cooking blog by including such dishes as Taiwanese pork sauce and braised napa cabbage. I also use my medical background to discuss why culturally specific foods like rice are particularly relevant to the Taiwanese community. What motivated you to publish your work? The three things that have motivated me to publish my work, The Ping Pong Diet: A Twenty-One Point Plan for Sustainable Weight Loss, are education, self-awareness, and family. First, the book explains why processed foods are so unhealthy and how plants and protein create wellness. Second, as healthcare evolves, it is becoming increasingly important to use various forms of media like print, ebooks, blogs, and youtube channels to relate to people on both a personal and professional level. Finally, I am continually motivated to learn about and cook healthy food for my family so my kids can grow up in a positive food environment. I am a second generation Taiwanese American born and raised in Orange County, California in a classic two parent working middle-class household. When I was an infant, my parents couldn’t afford a crib, so I slept in a dresser drawer. This may sound familiar to some of you, but this is my prototypical Taiwanese American journey. I learned from my hard working parents the value of hard word despite my learning disabilities and overcame obstacles throughout life and health. When I decided to move back from my East Coast schooling/training, I decided to start a fee-for-service manual physical therapy practice called Rehab and Revive PT, a practice founded on quality time and results. I am one of 220 Certified Functional Manual Therapists(TM) internationally. With my specialty in Functional Manual Therapy(TM) and this business model, I became #1 on Yelp in Orange County for PT. I also recently accepted a position as an adjunct professor at Chapman University’s Physical Therapy Doctorate Program. I’ve had a chance to be a leader and organize as a board member for the Orange County Taiwanese Association (OCTA), Taiwanese American Citizens League (TACL-TAP) as a Scholarship chair, and the North American Taiwanese Medical Association (NATMA) as a lifetime member. Each avenue of leadership has brought me and the Taiwanese community closer. This led me to write a manifesto way before my book, calling out the Taiwanese Americans to take an active involvement in the community that has only encouraged us to succeed. My book, Rehab The Mind, Revive The Body: Foundations For Healing, is more than just a “medical” book. It is a new literary style for medicine in that the book depicts scenes in a narrative format. The greatest reason and factor for creating this book in literary prose is to show that manual medicine is not just a science but an art. I hope to garner interest and pique the curiosity for those wanting to question “what could be out there?”, for example in the field of alternative and holistic medicine or what I’d prefer to call “comprehensive medicine” as a way to facilitate healing our bodies. I explore the use of function as the first and best form of intervention because the public should know they can redefine what is possible through active-participation, without pills, shots, or surgery in many serious cases. We come to find that the true foundation for healing or in life is sometimes an empowered choice and which is often missing in healthcare. My parents left Taiwan and came to the US for graduate studies as part of the early baby-boomer generation. 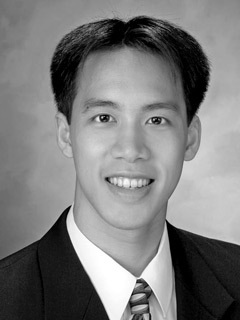 I was born in the U.S. and grew up on the East Coast, mostly in New Jersey, where we were active with the growing Taiwanese community. I’ve always been an engineer and entrepreneur at heart but decided to become a doctor because I enjoy helping people. As I went through medical school, I was shocked by the gross inefficiencies and shortcomings in medical education and our healthcare system. Even though time was tight during my residency in internal medicine, I saw such dire need that I began writing software, such as an ACLS simulator, to improve health education and patient care. Upon graduation, I launched Transcension Healthcare, a medical software company. I used to be quite active, playing and competing in many sports and martial arts. But once I started my medicine residency, I became too busy to exercise regularly. Before I knew it, I was out of shape and overweight. I was actually in denial for years until my mom, like a typical Taiwanese parent, called me out and said I was fat. I also developed severe back and leg pain from sitting long hours at the computer. After many failed attempts to get back in shape by doing cardio and lifting weights at the gym, I decided to create a workout system that took as little time as possible, could be done almost anywhere, and got me out of the chair regularly. The result is the One Minute Workout system, which got me back in shape and eliminated my pain. After witnessing spectacular results in other people as well, I realized I had something that could help a lot of people and combat the growing obesity and inactivity epidemics. I wrote The One Minute Workout book as a way to share it with the world and to give doctors a tool that enables their patients to help themselves. Fun Fact: You can see my martial arts in the video game Mortal Kombat vs. DC Universe for which I was a motion capture actor for several characters. Looking for more good sources of advice? 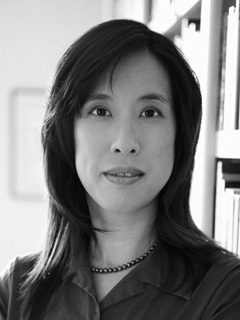 Dr. Chen graduated from Harvard University and Northwestern University’s Feinberg School of Medicine and completed her surgical training at Yale University, the National Cancer Institute (National Institutes of Health), and the University of California, Los Angeles, where she was most recently a faculty member in the Department of Surgery. In 1999, she was named the UCLA Outstanding Physician of the Year. 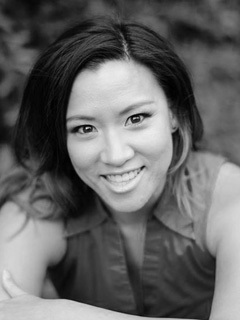 Don’t forget to check out Tammy Chang’s The Nourished Belly website for more healthy eating tips and lifestyle changes. She is a Bauman College certified nutrition consultant and Transformational Coaching Method certified coach who gives nutrition classes, workshops, and food demonstrations. She coaches clients individually around the Bay Area and virtually throughout the United States to be their very best selves, through diet, lifestyle, and and breaking through limiting beliefs. Tammy received a BA in Public Policy from Duke University and as a New York City Teaching Fellow, received her MA in Childhood Education from Brooklyn College. She is a co-founder of Common Seed Nutrition, a group of nutrition consultants dedicated to making nutrition education accessible to everyone. Thanks all! There is also a promo code for Rehab the Mind, Revive the Body. Use promo code 9HRR9RTE.